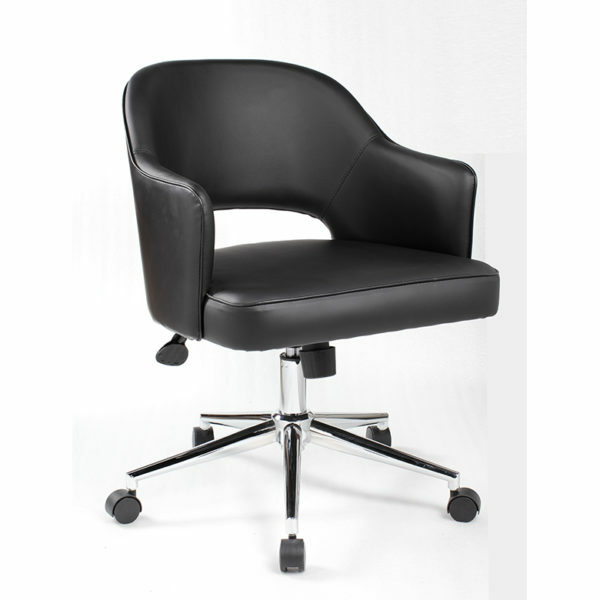 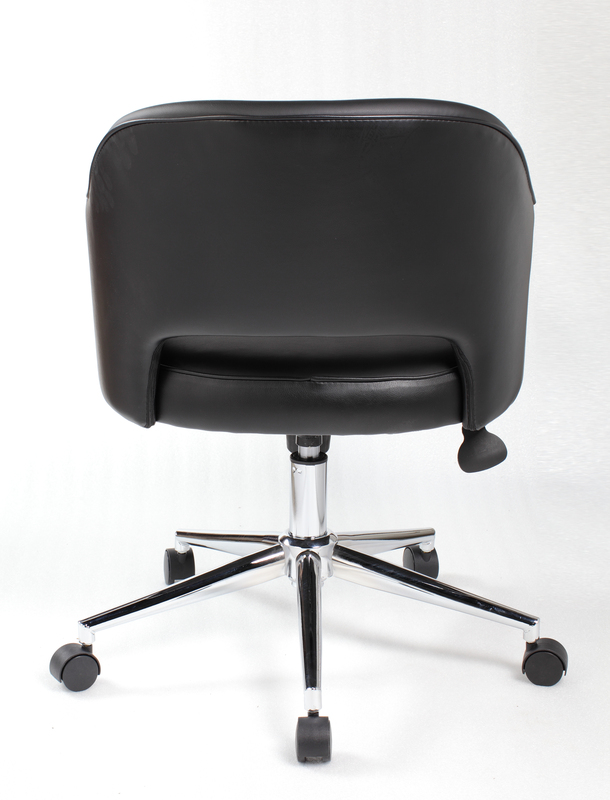 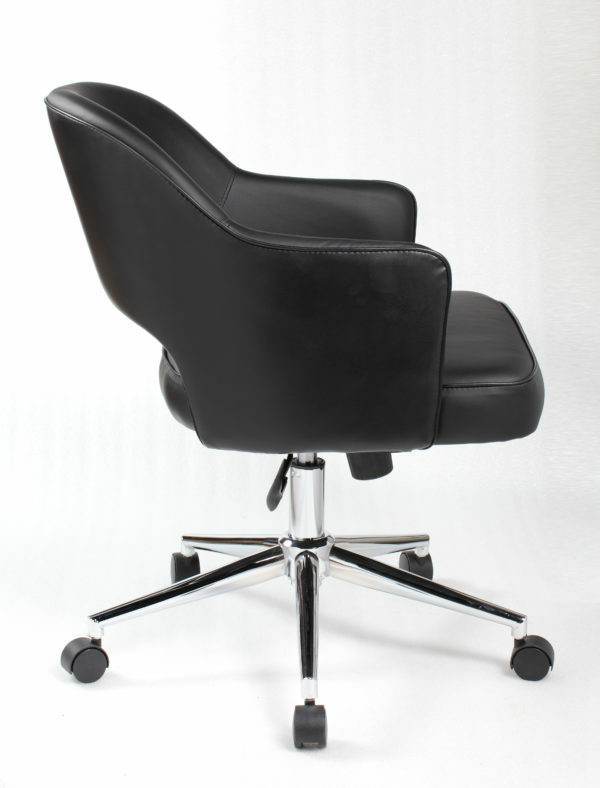 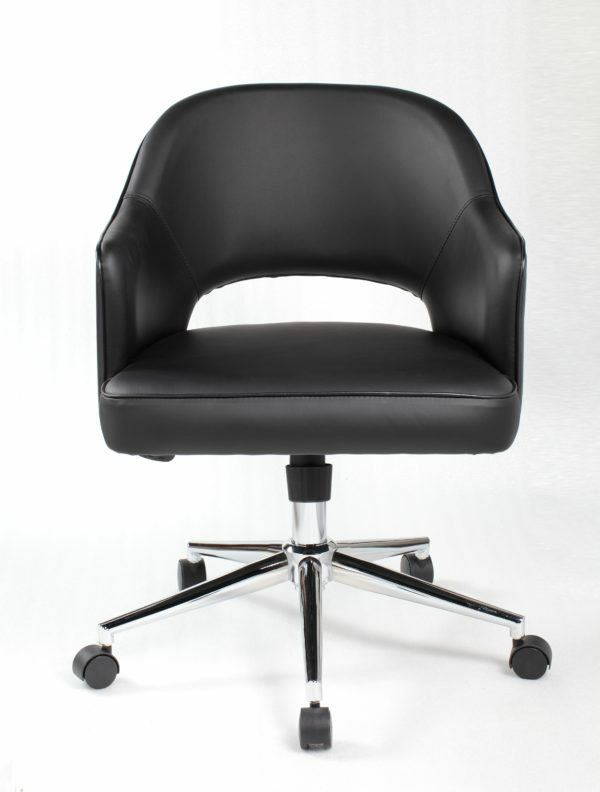 The task chair in black is an exceptionally designed chair with vinyl fixed arms and a breathable semi-open back in vinyl as well. It is understated and sleek and it also offers useful, functional features such as tilt tension, a pneumatic gas lift for easy height adjustments and an upright lock. The chair boasts a sturdy 25 inch chrome base with hooded dual wheel castors for a smooth roll and has a weight limit of 275 lbs.